Actor, comedian, director, producer, and voice actor who won an Emmy Award for The Ben Stiller Show. His most well known films include Starsky & Hutch, Heavyweights, There's Something Mary, Zoolander, Meet the Parents, Tropic Thunder, and the Night at the Museum series. He also voices the character Alex in the Madagascar films. 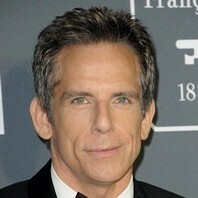 How much is Ben Stiller worth? We covered 'Hey, Jude.' My father panicked, misunderstanding the lyrics and thinking our lead singer was belting out 'Hey, Jew' to a roomful of Holocaust survivors.